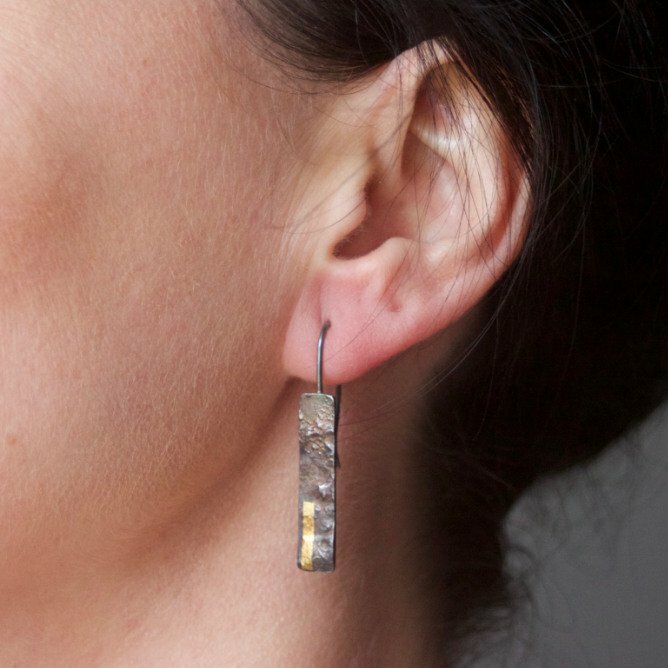 These handmade, textured silver and gold long drop earrings are discreet enough to wear everyday, while also having a highlight of gold to add that little bit of luxury. Handmade from sterling silver, using 2 traditional processes. The first, called reticulation, is when the metal is repeatedly heated and cooled to eventually produce this textured surface. Sometimes it ripples like sand dunes, sometimes it looks more stone-like. That’s the beauty of the process – each piece ends up completely individual. The second is keum boo. An ancient Korean technique meaning ‘attached gold’ where a layer of 23.5ct gold is carefully applied using heat and pressure to permanently fuse it to the textured silver surface. 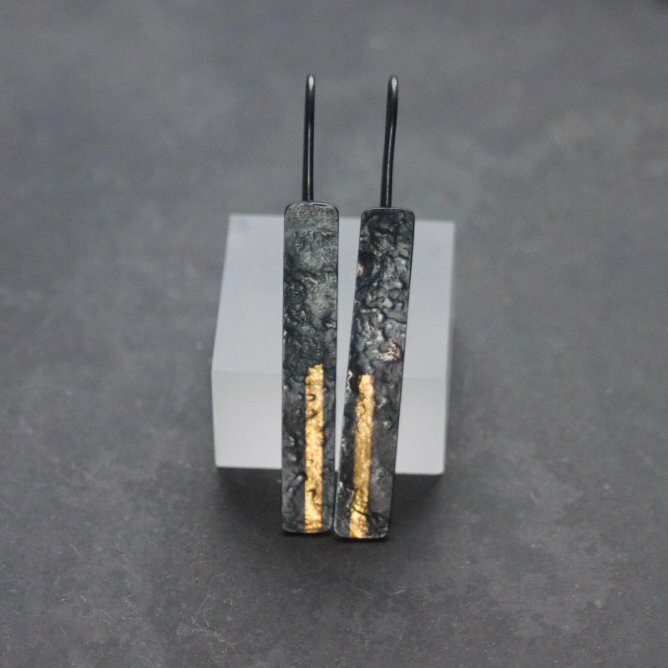 These long drop earrings have then been oxidised to darken the silver and increase the contrast with the gold. Each pair of earrings is handmade and will differ slightly from each other. Polished silver versions also available here.